Mastro in Trouble with the FBI, Again? The riptide that surrounds Mastro Auctions continues to turn. The ocean waters are white and foamy as the tide pulls everything in its path out to sea. Controversy continues to follow one of the hobbies premier auction houses. Mastro Auction has lost a lot of luster in the eyes of many within the hobby. From reports of in-house shill bidding to their connections to a political scandal involving Tom Noe and coingate. 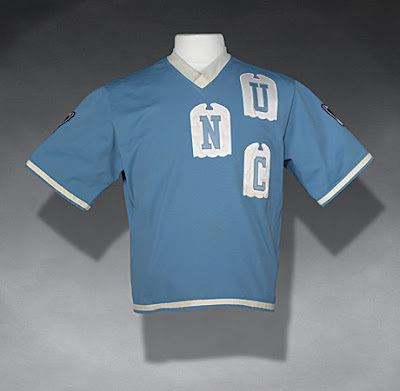 Now, The Daily News reports that a purported Michael Jordan UNC warm-up jersey auctioned a couple of weeks ago during the National Convention has the FBI circling again. The hangover from the event, however, just won't go away. One item, advertised as a Michael Jordan North Carolina warm-up shirt, sold for $11,000 even though questions had been raised about its authenticity well before the auction took place. Collectors cried foul on Game-Used Forum.com, a memorabilia Web site, and began investigating the shirt. Mastro Auctions voided the sale and sent the jersey back to the authentication service that raised the initial doubts for further review. 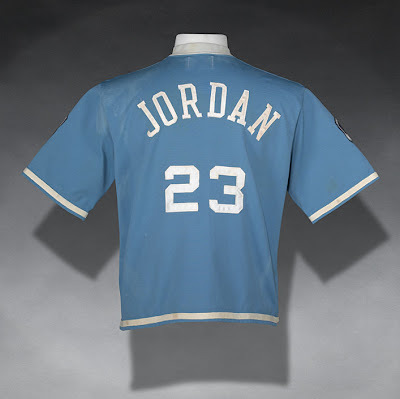 But the controversy over the "Jordan" shirt appears far from over: It has added new pressure to calls for greater regulation and standards for the dog-eat-dog world of sports memorabilia. The shirt has also attracted the interest of the FBI, which as the Daily News reported last month, has already begun an investigation into business practices at Mastro Auctions, sports memorabilia's largest auction house. The vintage game-used market has been in shambles due to the unscrupulousness of a handful of people. It makes it impossible to bid on any item that does not have great provenance. With regards to Mastro's conduct I will say that they did the right thing by pulling the jersey, but they certainly need to be more forthcoming when questions arise regarding any items they have for sale. Playing hide the ball does not benefit Mastro's reputation. What happens when you combine a pride of lions, a herd of buffalo, and 2 crocodiles at a watering hole in Africa? You get nature at its wildest. Check out the video below. Amazingly, all of the animals in the film appear to walk away unscathed.